Myles High Corporate is a Goa based company who provides expert standards in the industry through dedicated service and quality control. 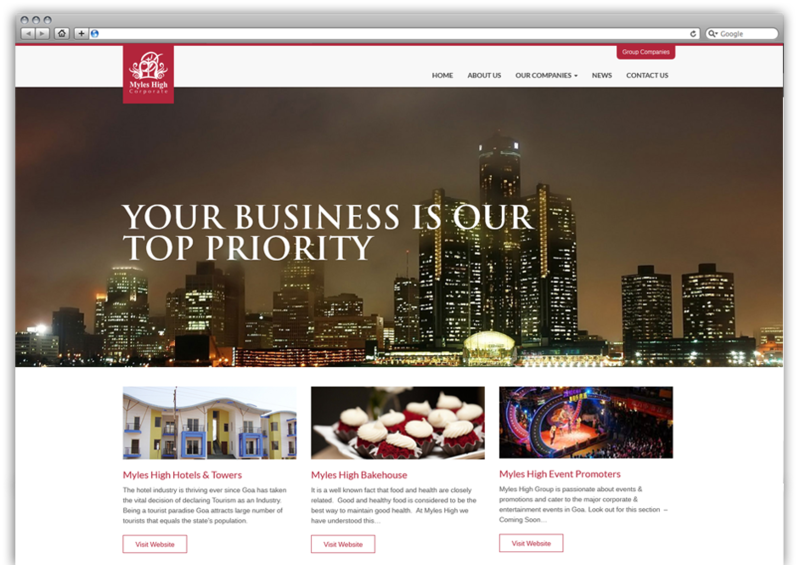 We provided human centered design based website portal for Myles high corporate. We conducted Heuristic Evaluation on Myles High’s previous website and created accurate guidelines of what’s missing, what’s needed and How we can get the website to work at its best based on Jakob Nielsen’s 10 usability heuristics. Human Factors Research + Design team visited Myles High and conducted Interviews and observations of their work to get insights of their services and solutions which helped us in building a better solution for their customers. We created a wireframe of all the websites we provided to the Myles High to define design hierarchy and also to plan out and layout the interaction. We created a perfect web portal based on their needs and research data and provided a Visual design in a way which does not take away the users from the content in the design or function. We worked with the development teams in providing complete support in translating design to code and transformed it into working liv websites. Our point is to make every idea come to life and let the rubber meet the road… and win. Myles High Bakehouse is known for quality, deliciousness and nutrition in its bakehouse products. It provides catering to corporate, families and friends, praline and luxury truffles made in house. 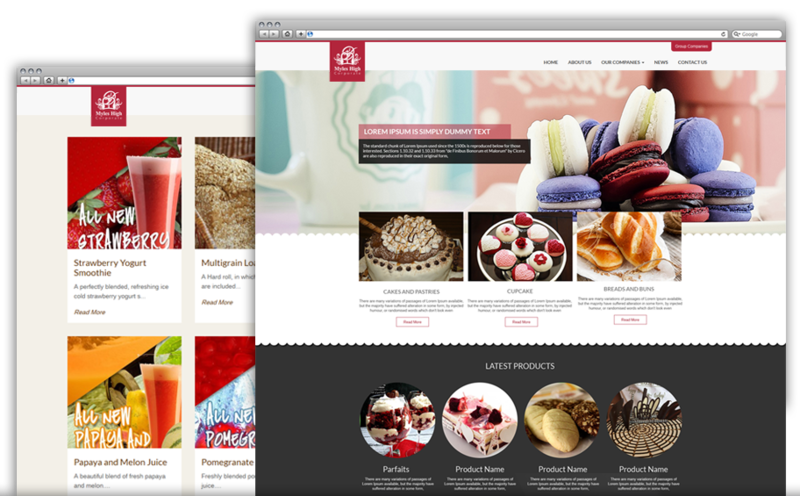 We provided an online UX- based web portal to showcase their products so it can reach to all its customers. Myles High Hotels & Towers is real estate business by Myles High corporate based in Goa, India. 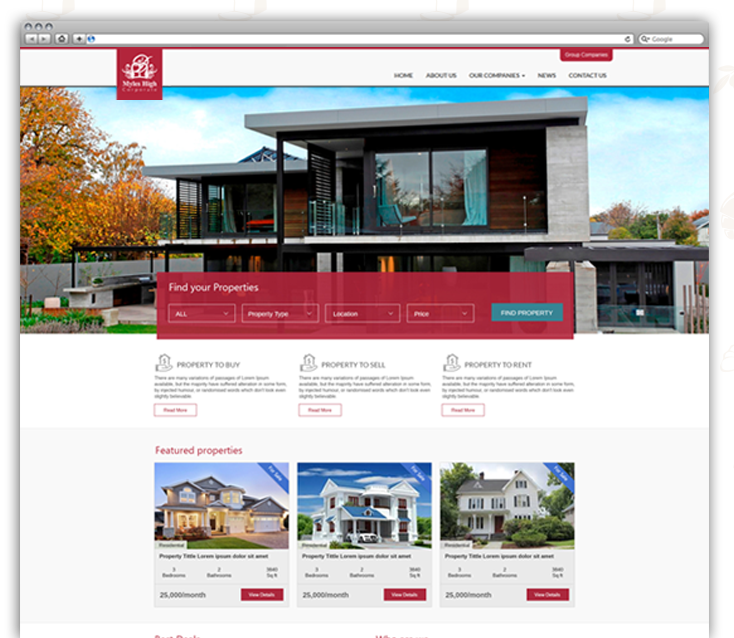 We created an online solution for viewing, purchasing and selling properties. Myles High Group is passionate about events & promotions and cater to the major corporate & entertainment events in Goa. 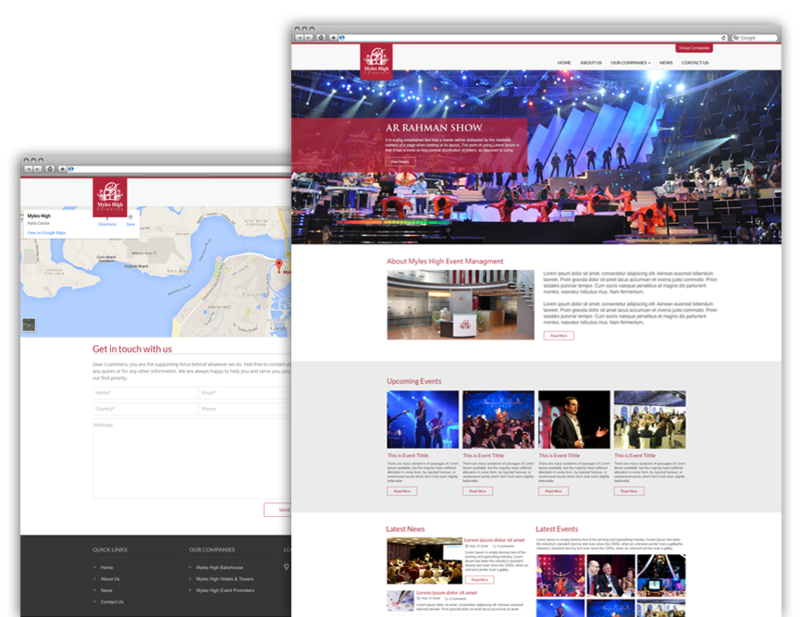 We created UX based online portal for viewing the upcoming events and information about their past events.